Students attend in school tutoring. 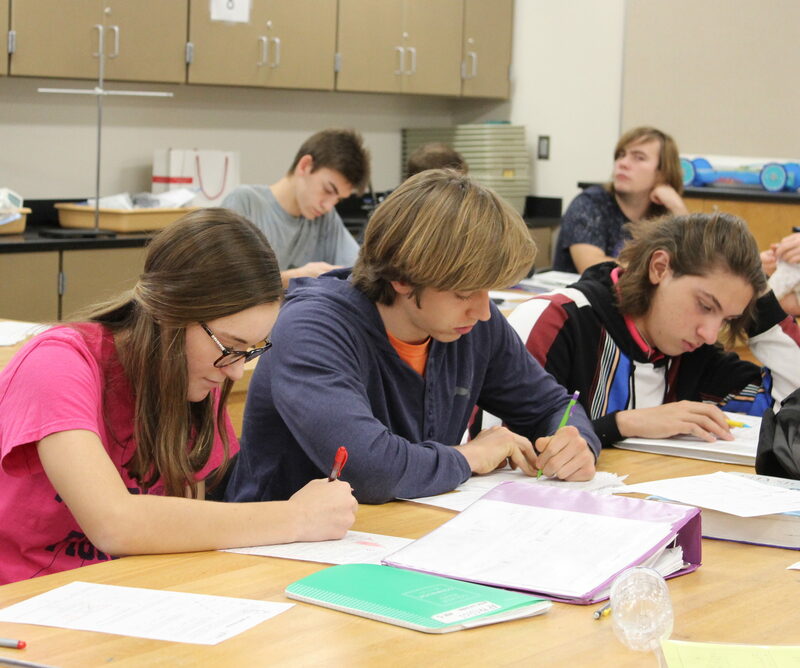 This took place in Lela Vanloon’s classroom and was designed to help physics students with their assignments. Photo courtesy of Jordyn Dees. As scheduling season rolls around again, Steinbrenner students have the opportunity to choose from a variety of classes for next year. Steinbrenner offers classes with ranging difficulty, including some high level math and science courses. While many students enter these classes knowing they have the skill level to succeed in it independently, some need extra help and guidance to achieve their desired grade. This is where tutors come in. Though it may not be common knowledge, student tutors are available at school for a wide range of subjects, from freshman classes to senior classes. While NHS is not providing tutors in the same capacity this year as the club has in previous years, there are still Steinbrenner students who offer outside study help, as well as a new club designed to assist Algebra students outside of class. Anusha Gupta, a junior, founded this club earlier this month. Quite accelerated in her math studies, Gupta is already taking Calculus classes at HCC. She got into tutoring after a math teacher last year needed a tutor for some of her students. Since then, Gupta has been teaching some of her students. She tutors a couple days a week after school in a variety of math subjects, including Algebra I, Algebra II, and Geometry. While student tutors are compensated for their efforts, it’s still a large time commitment on top of their school work, especially considering that most students that tutor are already taking advanced classes. As exam time draws closer, study scheduling can get even busier for these students, as they balance review time for their own studies and for the students that they help. Gupta is also part of Mu Alpha Theta, the Math Honors Society at Steinbrenner. Recently, this club has started tutoring algebra students for service hours during lunches in the media center. Students have the opportunity to connect with other math students, including Mu Alpha Theta members, and teachers while also getting the help they need to be successful on their EOCs. Martin and Gupta are just two of a number of tutors at Steinbrenner. Many students, even great ones, can stumble in their math and science courses, needing a bit more attention and help to be successful. Thanks to student tutors at school, this is possible.